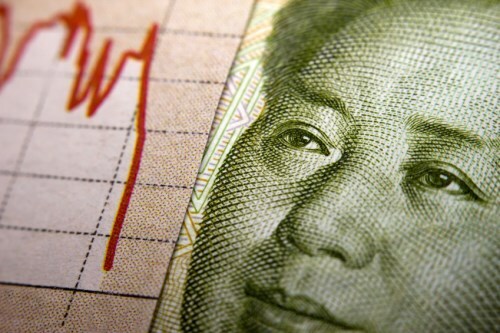 Not enough investors are fully aware of the dramatic evolution taking place in the China economy, according to a portfolio manager. Regina Chi, vice president at AGF Investments, said China has switched from being export focused to domestic oriented as it undergoes what’s being called “Chinnovation”, a strategy to move up the value chain from a widget manufacturer based on quantity to a more quality, value-add industry. She said there’s no other government in the world that has placed targets on R&D to GDP and adds that the number of patents the country holds is eye-opening, pointing to its leading eCommerce penetration and AI technology. Chi believes that investors fearful of the trade tensions between the US and China need to take a deeper dive into the statistics to realize how much unnecessary noise is being created. She said: “The trade war has definitely slowed down the economy, just the fear, and business and consumer confidence has definitely been hit in China. But the reality is that when you look at the trade numbers, if Trump is to follow through on his 25% hike tariff on the $200 billion, it affects only 9% of Chinese global export. One of Chi’s favourite stocks is Zhuzhou CRRC, the largest locomotive manufacturer in China, which she said is a big beneficiary of the infrastructure plan that will expand the rail network. Greater spend on inter-city rail as well as long distance will provide greater asset turns and higher revenues. The analysis of China plays into two key aspects that investors should take into account with emerging markets, according to Chi. The first is that country selection is vital. She explains: “Here at AGF, we have a disciplined country allocation framework that allows us to pick the country’s stock market that will be a relative outperformer and it’s based on a combination of valuation, risk, and growth and momentum factors. The second element for investors, said Chi, is quality, emphasizing the need for a disciplined, fundamental approach in terms of evaluation of the stocks you own. She added that because AGF is focused on quality characteristics, it only owns companies that have a rate of return above its cost of capital. Emerging markets have endured a tough 2018 after a rip-roaring previous year. After starting with fears of a melt-up in January, by the middle of the year there had been a significant breakdown. Chi puts this down to the Federal Reserve tightening its monetary policy, a stronger dollar, capital outflow from emerging markets and the deleveraging process in China. On top of that, markets were fearing trade wars, oil prices have plummeted and populist politics have gaibed more support. The only beacon of light has been the US economy but its expected slowdown in 2019 is where emerging markets can come to the fore once again, according to Chi. She said that with US GDP predicted to decelerate to 2% after peaking during the second quarter at about 4.1%, emerging markets growth will remain steady to flat at a 5% aggregate basis. Chi also highlighted the inverse correlation with the US dollar and non-US assets. She believes the dollar is unlikely to strengthen and could be weaker, which is another plus for emerging markets.